Matel Neon Transformer Earth trip, mains and HT cable connections all housed under magnetically connected lid. 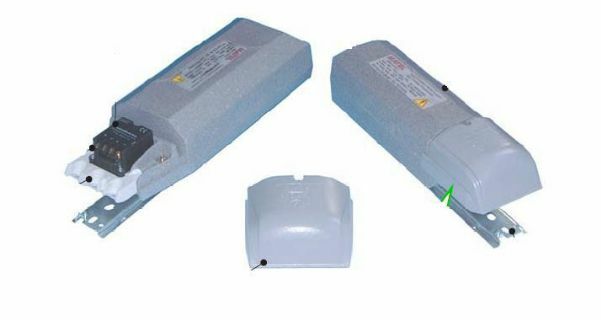 This is situated at one end of the unit to avoid heat transfer damage from body of the transformer to the earth trip device. Neon Power Supply. Excellent build quality that can run upto 12mtr of neon/argon glass tubes (approx). 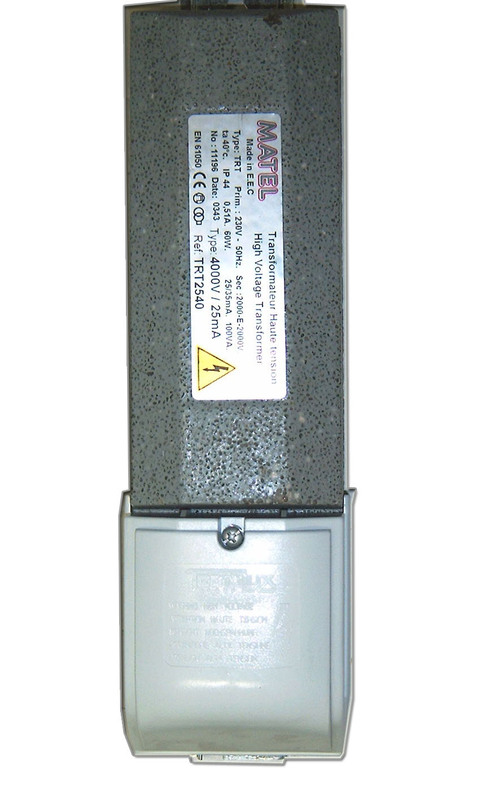 Available from 1,000 upto 10,000volts 25 to 100 milli amp transformer - (Pulls aprox 1 amp). Please choose quantity and delivery options from the checkout area, Thank you.